Hi Great to see you again! 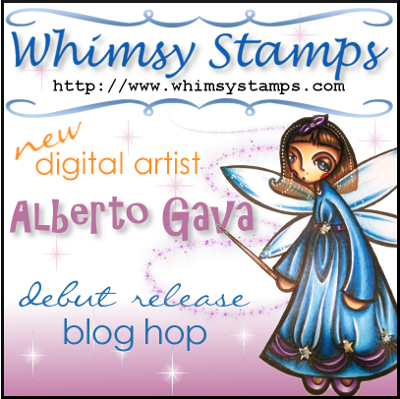 Glad you could stop by today, because I'm showcasing an image by a new designer at Whimsy Stamps. 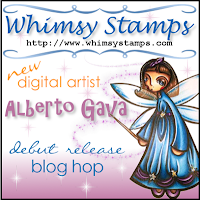 Alberto Gava is debuting 4 new images and is holding a mini blog hop at Whimsy Stamps to showcase these images. You can click here to hop over to Whimsy to take a peek at all the great creations that the design teams have created and participate in the hop. There are hidden prizes along the way and Two Grand Prizes as well to win. 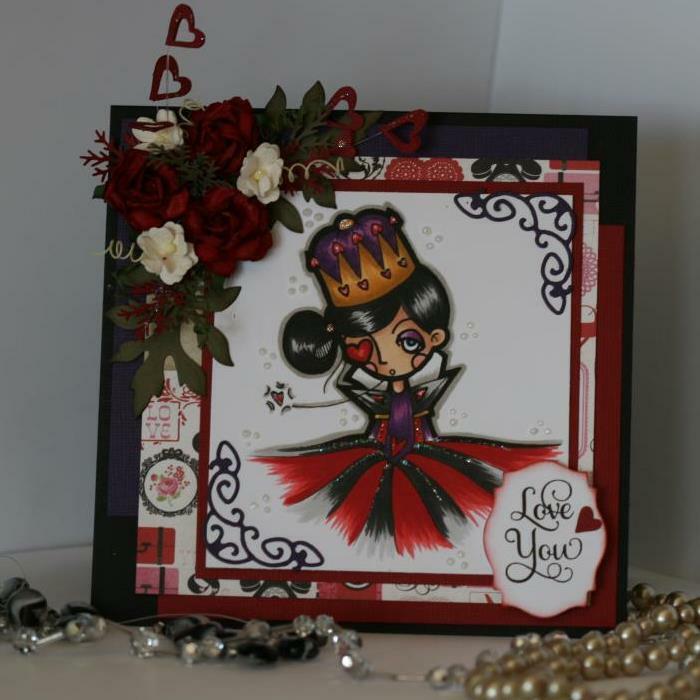 This is my creation made using Alberto's image called Queen Of Hearts. The corner of my card using some fishing line and some hearts I punched out. They stick out of the flower design for an added 3-D effect. Supplies: Copic markers, Bazzill cardstock, EP patterned paper, Cheery Lynn lace corner dies, Just Rite Large fancy Sentiments, Leaves from Heartfelt Creations Delicate Asters, Spellbinder, Viva pearl pen, Wild Orchid flowers, Whimsy flowers. Hope you enjoy the hop and these wonderful new images from Alberto Gava. Nicely done, you should enter our challenge at Love to Scrap! Challenge blog as it is Anything Goes!